What Will I Do If I Win $100? 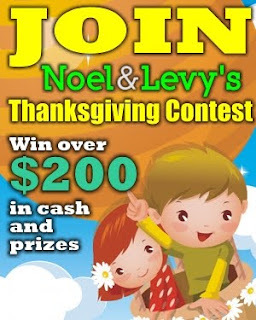 This is my official entry to Noel and Levi’s Thanksgiving Giveaway. Answer: My daughter Bella Grace who will be turning 9 months old this coming June 23 has a hernia. She needs surgery to close the linings of her muscles so that her intestines won’t protrude down near her private part. A surgery is needed to prevent strangulation of her intestines because it will cut off blood circulation to the tissue and may cause health problems and abnormalities. Since the doctor advised us to prepare 35 to 40 thousand pesos for the surgery, my husband and I decided to do a little fund raising. We will save any little thing we can so that we will get Bella her surgery soon. So, if I win this contest, the money will be saved towards Bella’s surgery fund. Please leave your precious comments and help us win $100 for Bella’s Surgery Fund! Babies to Toddlers Online Shop + Giveaway! Certified Positive Bible Tab Stickers Review and Giveaway! Rubz, sana manalo ka, kung di ako manalo OK lang… sige ikaw na for your daughter …. pray, pray ….. wait dun sa graphics na sabi mu yung iba I downloaded it sa mga torrents… all thebest. Mommy, my prayers are with you and Bella..
@Vernz: Thank you very much for your generous heart. Kahit sino manalo. All the best! @Dubster: Marz, I also commented at your sisters entry. Thanks for supporting my entry too. Muah!! prayers to bella and your family. sana manalo ka and come up with the money you need for the surgery. Eto pala ibig sabihin ng hernia kay peh ko lang nalaman. hope you win, marz so bella can lead a normal life. Good luck mommy rubz. hope you win this contest para kay bella. God Bless! i do hope you win mommy. this is for a great cause. hope bella is faring well. May God give you and your family the strength to see this problem through. Hi, Mommy Rubz! I’m joining this contest, too, but I still haven’t thought about what to do with $100, so I’m not officially qualified. I’ve learned about your daughter’s medical condition through Pehpot. I’ll buy a blog review from you; I hope that helps. I also hope you win Noel and Levy’s contest so you can have Bella’s surgery performed soon. We were in a similar situation, too, a few months back. We had to raise money for our Nanay’s heart bypass. Through the help of friends and a hefty loan we took out, we were able to have her surgery done, so don’t lose hope. God will provide! Will pray for your little princess mommy! Mommy Rubz,I hope you’ll win the contest.I’m praying for you and your baby..God bless..
Hi, Mommy.. I joined this contest too. My son needs the money for his therapy. I didn’t think twice to add my comment here (though I know it’s more of a popularity contest)because I want you to win the $100. Baby Bella needs it most. Will include Bella in our prayers and that you may win too. I hope you’ll win Mommy Rubz! Good luck! :heart: Papa Jesus luvs you bby girl…mami, claim all Gods promises- He is best physician..He will never leave nor forsake you. Godbless. I really hope you’d be able to accumulate enough for her surgery. I’ll be contributing to your funds this July. And I’m constantly praying for her. Babies shouldn’t be suffering like this. Really. congrats ate. 🙂 sana gumaling na si baby. Will pray for her. 🙂 Godbless po! congratulations for winning! 😀 this would be a big help to your fundraising! how is the fund raising nga pala? 🙂 can you send me an update? how much do you still need? Hi mommy rubz and Baby Bella! Congratz for winning in Noel and Levy’s Contest! Hope the 100 dollars will be a big help for the operation 🙂 Baby Bella, kisses and hugs! Congratulations for winning the contest!God is good talaga!Will pray for baby Bella.God bless dear!